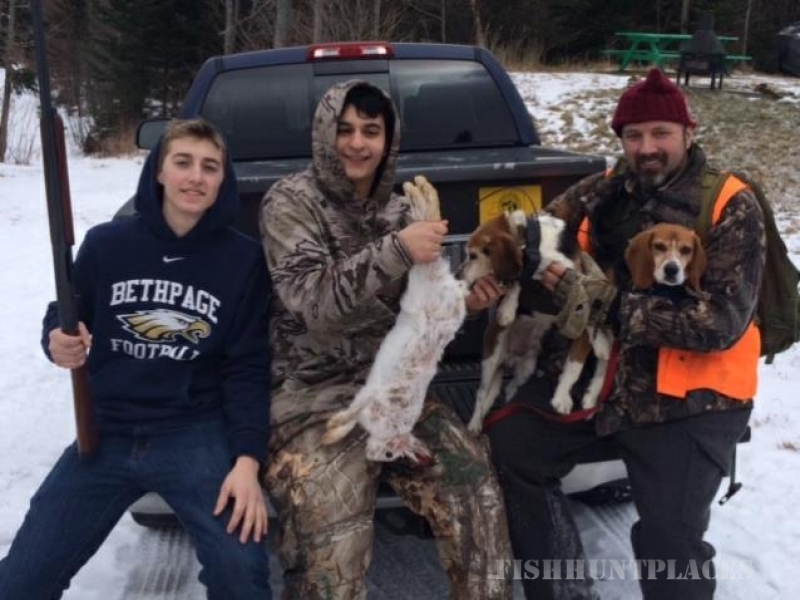 Let the baying of hounds and the sight of a ghostly, sure- footed hare bring back the memories of an old fashioned snowshoe hare hunt. 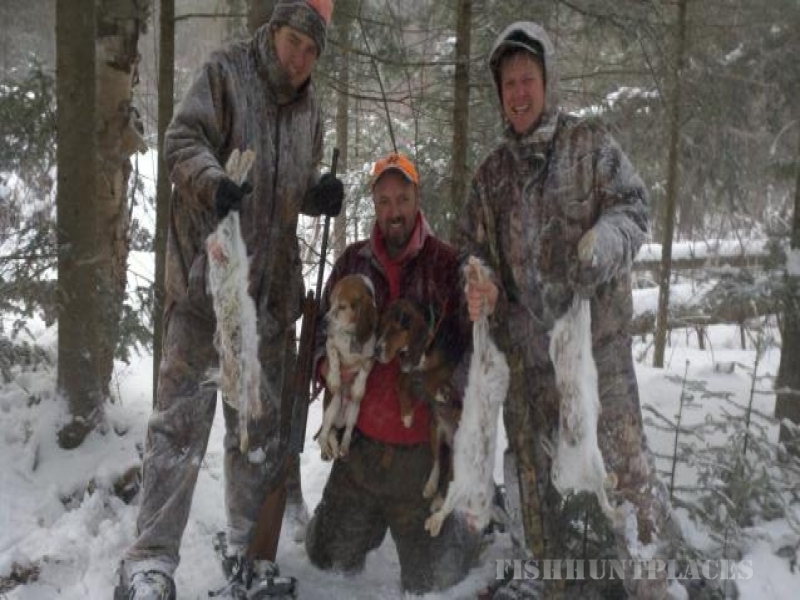 If you like fresh winter air, and the thrill of a chase, snowshoe hare hunting is for you. 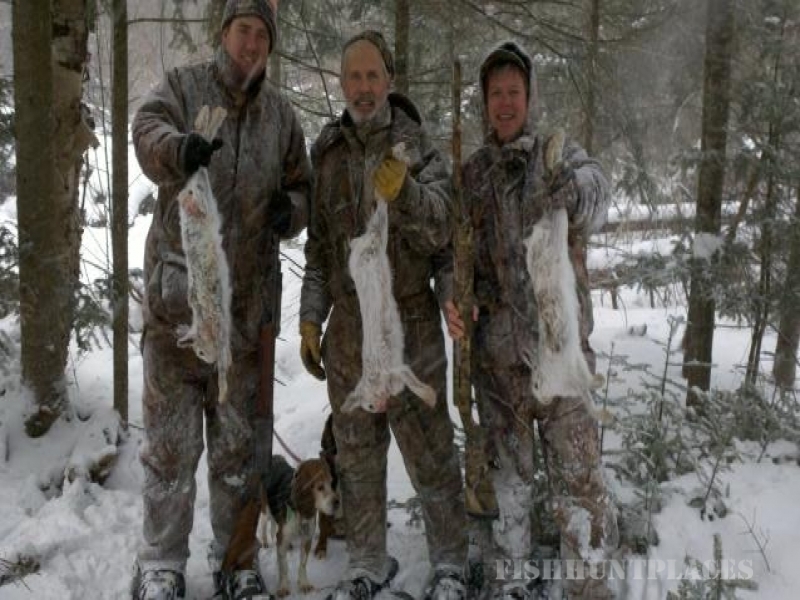 Located in the Adirondack Mountains along the Canadian border,snowshoe hare hunting is a favorite northern past time for all ages. 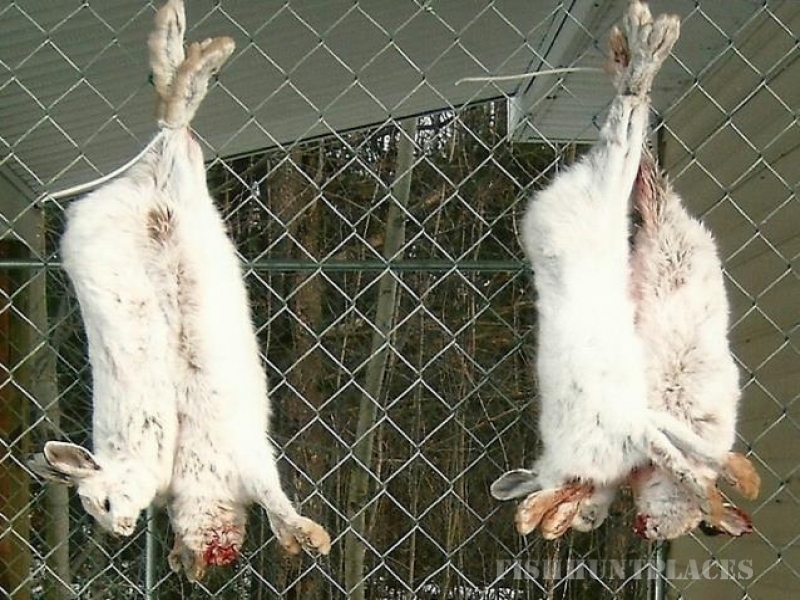 Hare are hunted from Oct. 1 through mid March during which chances to add a few rabbits to the game bag are plenty. Our hunting area consists of balsam swamps and overgrown clear-cuts; prime habitat for hare. 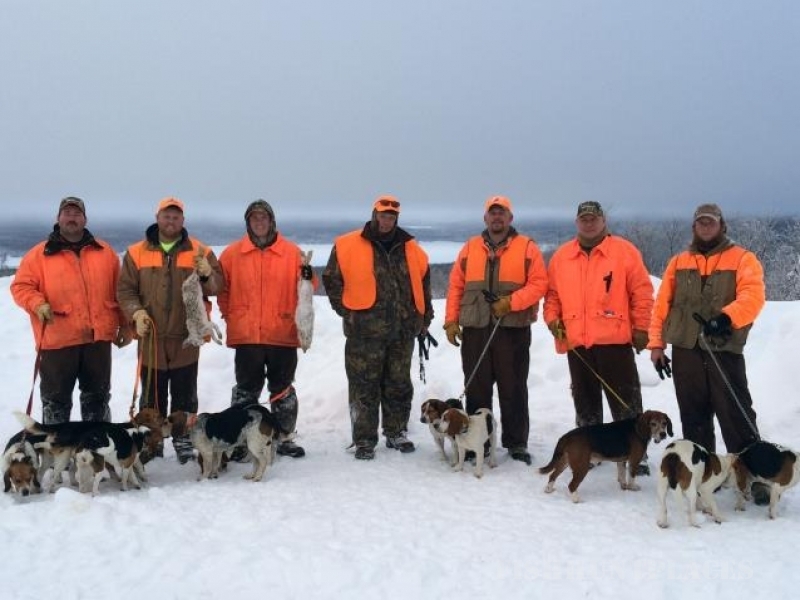 We will hunt the vast amount of state forest in our area along with some select private lands. You can be assured of a good days outing with Hare and Hounds Adventures!